The original The Lego Movie spawned multiple other Lego movies recently released a sequel. The Lego Movie 2: The Second Part continues the story of Finn (Jadon Sand) and his Lego land of wonder. In the sequel, Finn’s Legos are attacked by strange, alien creatures who want to destroy the wonderous Lego land in his basement. The aliens attack and eat a heart one of the Lego characters had created. Thus, begins their descent into the desolate Wasteland. The once cheerful characters have had to become hardened. They fear what is to come and how to save themselves. Gone are the cheerful colors. Instead, they are replaced with browns and blacks. Colors that will keep away the invading aliens. If you’ve watched the first The Lego Movie, you know there’s something else happening in the background. The Lego Movie 2: The Second Part continues with this tradition which you will discover at the end of the film. 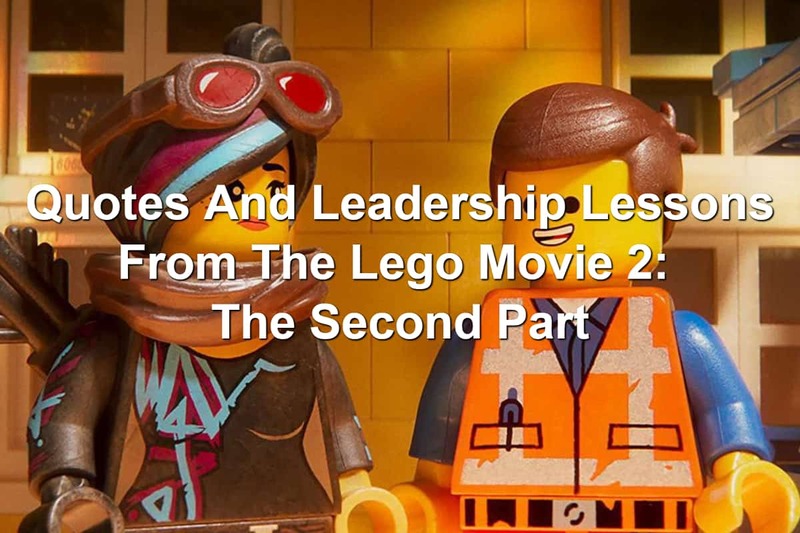 Today, we’re going to look at the leadership lessons in The Lego Movie 2: The Second Part. Get ready for Reel Leadership. It’s coming at you right now. Finn’s dad (Will Ferrell) allows Finn’s sister Bianca (Brooklynn Prince) to play in the Lego paradise. She brought her childish Duplo blocks to the world of tiny Legos. The larger blocks weren’t as well defined. The characters Bianca created were sloppy and odd looking. These new characters changed the landscape of the Lego world Finn and his dad had built. Every time you bring a new person into your organization, the dynamics of your organization are going to change. They bring new insights and ideas to your business. Be ready for things to change. They will with new people. The original characters from The Lego Movie toughened up. They became darker, broodier versions of themselves. Lucy (Elizabeth Banks), Batman (Will Arnett), Surfer Dave (Doug Nicholas), and other Lego creations began to toughen up. They believed this was the only way to survive. They were wrong. There was one character who kept his cheery demeanor. This was Emmet Brickowski (Chris Pratt). He refused to let the tough circumstances make him leave his happiness behind. It’s easy to follow the flow. To change how you feel based on how others are feeling. We’re empathic beings who tend to latch onto the feelings of others. This often manifests itself in the way we behave. We begin to act like those we’re around. You may believe you have to change. You have to be like those around you. But you don’t. You don’t have to lose your cheerful demeanor or humor because other people lack these characteristics. If anything, you should fight all the harder to keep your positive attitude when things change. This will set you apart. Emmet, you’ve got to stop pretending everything is awesome. Lucy Wildstyle saw the world had changed. Emmet knew this too. Yet he kept his positive attitude. He wouldn’t give up the hope that things would get better. He also failed to see how bleak their world had become. His attitude was one of cheer and joy. He wasn’t willing to face the reality things weren’t so good anymore. While we don’t have to change our attitudes, we do have to be able to admit when things aren’t going so well. The Lego world was in ruins. Emmet was still acting like everything was awesome. Things weren’t awesome. Can you admit to the truth? Or do you hide behind an ideal? Be willing to admit when times are bad. It’s okay. This doesn’t change who you are. Accepting things are tough opens you up to the chance to truly change things. You can then begin fighting for what was lost. Stop pretending everything is awesome. Ultrakitty, the tougher version of Unikitty (Alison Brie), sent a message with fireworks. She was supposed to send out a cry for help. Instead, the message she sent was “Happy New Year!” in all its fireworks glory. The message wasn’t clear. The message she sent was wrong. Make sure you’re sending out the right message. Be clear on what you want to communicate and then communicate the message. The citizens of the Lego world were being attacked by the aliens once again. They had taken refuge inside of a fortress when Emmet made a mistake. He opened the door to free one of the star creatures. By doing so, he let General Mayhem (Stephanie Beatriz) into the fortress. Uh oh! Bad guy alert! Trouble ahead. Yeah, a lot went down after General Mayhem was let into the fortress… All because Emmet opened something he shouldn’t have. You’re constantly looking for new people to bring onto your team. You usually choose the right people to bring onto the team. Sometimes, though, you make a mistake and someone who shouldn’t get in gets in. Be cautious of who you bring onto your team. The wrong person can do irreparable damage. Come on, we’ve done this before! Emmet was always so cheerful. He still kept his cheerful personality through all of the changes they faced. Even the threat of destruction didn’t stop his cheerfulness. Why? Because they’d faced danger before. And they’d come out on top. He was positive they could succeed because they had done so before. Know what you’ve been able to accomplish in the past. Use this to propel you through difficult changes now and in the future. Looking back on your previous accomplishments is a great way to keep going when times are tough. You can look at the hardest things you’ve come through and know you can do it again. Rex (a future version of Emmet) said he didn’t want to talk about his backstory. Then he immediately begins sharing about himself. While his words said he didn’t want to do something, his actions said differently. He wanted to be known. He wanted others to know who he is. You will have people who say they don’t want to share about themselves. They may tell you they’re unimportant or don’t have much to say. A lot of times, they’re hiding behind their words. They want to be known. They want to share their story. Give them a chance to do so. Lucy was always a tough cookie. She was a rough and tumble girl. But she wasn’t. During one of the scenes, she is scrubbed down and you discover her hair wasn’t black. Her hair was blue and pink. She had taken a black marker to her hair to make it dark and broody. She wanted people to think she was tough. We’ve all done something similar to Lucy. We put on a mask to make people think we’re something we’re not. You have to be careful about doing this. Pretending to be something you’re not will hurt you. Your true self will not be known and when people discover you’ve lied to them, they will be cautious in following you. The Batman in The Lego Movies has the same backstory as the comic book character. He lost his parents and he continues to hold onto the past trauma. This is how he became and continues to be Batman. He holds onto his hurt and pain from the past. It’s also what continues to haunt him. If Batman was able to let go of his trauma, he would be a different man. He would no longer feel the pain he felt from his parents’ death. Yes, there would still be pain. But the pain would be different. We’ve all been hurt before. I know I have. The pain I felt from being kicked out of a youth group was disturbing. I’d held onto for a long time. Because of this, I struggled to let people in and to care for others. There was always the thought that someone else was going to do the same thing to me. Holding onto this trauma hurt me. The trauma you’re holding onto hurts you as well. Let go of it. Free yourself from those chains. Yeah, we’re flawed but that’s what makes us relatable. Batman shares a great insight. Everyone is flawed. We all have flaws. These flaws aren’t bad. The flaws we have are what makes us unique. They are what makes us able to relate to one another. Stop hiding your flaws. They aren’t a threat to you or those you lead. Rather, they’re a way to become relatable. Be willing to share what you struggle with. Before you know it, you’ll have others who are letting you know you aren’t alone. Throughout The Lego Movie 2: The Second Part, Emmet begins to change. The happy attitude he once had begins to darken. He begins to change. Lucy had desired for Emmet to toughen up. She believed this would help them survive. As she sees him change, she begins to regret her desire. She realizes a toughened version of Emmet wasn’t the Emmet she loved. The grand visions and goals we have for ourselves seem great when we’re dreaming them up. Things are quite a bit different when we accomplish those goals and dreams. We may learn we didn’t really want what we were chasing after. As you chase after the vision you’ve cast or the goals you’ve set, watch yourself. Make sure the changes you’re experiencing are actually for the better. If they’re not, stop and change course. In one part of The Lego Movie 2, you see the words The End appear on the screen. It seems the movie is done. But, plot twist, the movie isn’t finished. There’s more to The Lego Movie 2. Sometimes what we see appears to be the end. This may be for a relationship, a business, or a career. The signs are clear. IT IS THE END!!! However, the signs aren’t always right. What appears to be the end may be a great new beginning. Don’t let yourself get down when “the end” comes. See what’s after the ending. You might be surprised there is still more to your story. Leadership comes from the heart. We lead because we care about the organization and the people. We know they matter. When times get tough, we believe we have to get tough. We have to harden our hearts and “do what needs to be done“ to keep going. The characters in The Lego Movie 2: The Second Part believed this. Everyone toughened up except Emmet. Towards the end, he even begins to toughen his heart. The hardening of your heart is a scary thing. It begins to cut off the opportunity to be genuine and care about those you lead. Watch your heart. 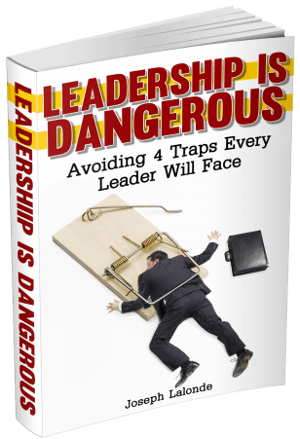 It’s the most valuable leadership tool you have. Question: Have you seen The Lego Movie 2: The Second Part? If so, what leadership lessons did you take away from the movie? If you haven’t seen the movie, what Reel Leadership lessons from The Lego Movie 2: The Second Part did you take away from watching the movie? Share your lessons in the comment section below.